This unique book explores a very broad range of ideas and institutions and provides thorough and detailed case studies in the context of broader theoretical analysis. Key topics such as poverty, global governance, sustainable development and the environment are closely examined, with detailed case studies of the World Bank, the WTO, the IMF, Asian Development Bank, UN Development Programme and the OECD's Development Assistance Committee. The impact multilateral institutions such as the World Bank and IMF have on development is hotly debated, but few doubt their power and influence. 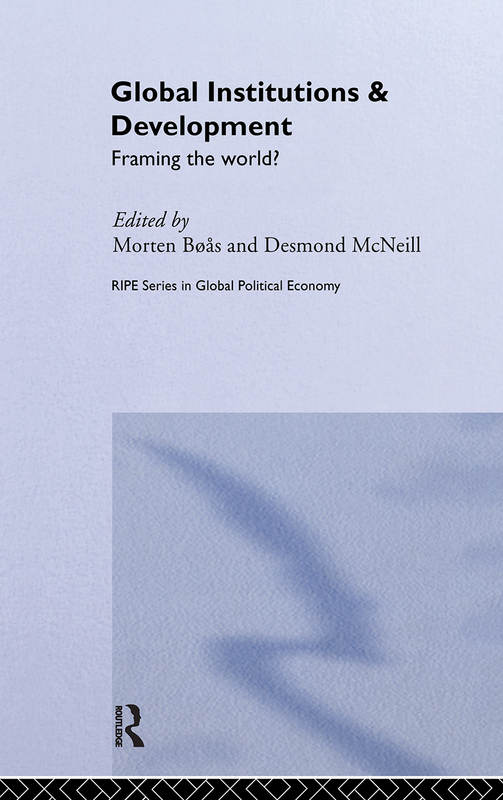 This book examines the concepts that have powerfully influenced development policy and, more broadly, looks at the role of ideas in international development institutions and how they have affected current development discourse. The authors analyze why some ideas are taken up by these institutions, how the ideas travel within the systems and how they are translated into policy, modified, distorted or resisted.